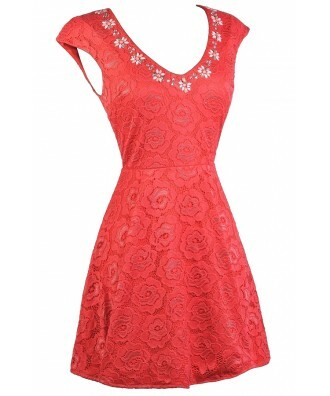 You have added Stone Flowers Lace A-Line Dress in Coral into shopping cart. FINAL SALE. 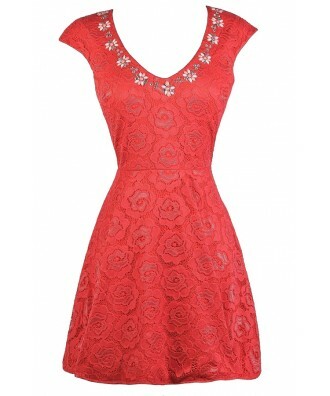 This pretty lace dress is amped up with the rhinestone and bead embellishments at the neckline. 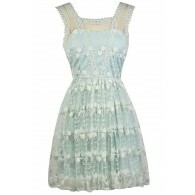 The Stone Flowers Lace A-Line Dress is fully lined, except at the top back, which is semi-sheer. It is made entirely of floral lace. It has a V neckline, miniature sleeves, an empire waist, and an A-line cut. Light padding in the shoulders adds structure to this look. An exposed back zipper completes this dress. 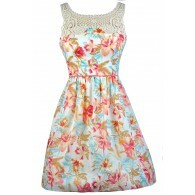 The Stone Flowers Lace A-Line Dress is a cute lace dress that looks nice paired with beige pumps or wedges. Details: Lined except at top back. Exposed back zipper. 100% polyester. Lining: 100% polyester. Dry clean only. Small measurements: Length from top of shoulder to hemline: 34". Bust: 34". 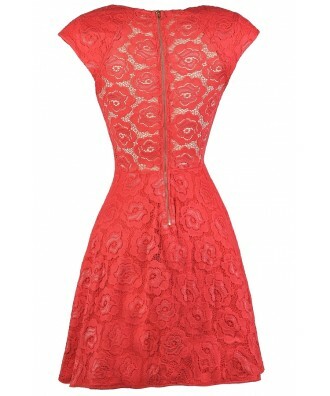 You have added Stone Flowers Lace A-Line Dress in Coral into Wishlist. 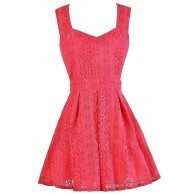 You have added Stone Flowers Lace A-Line Dress in Coral for Stock Notification. 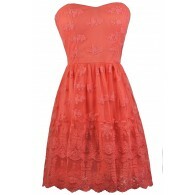 You have set Stone Flowers Lace A-Line Dress in Coral as a loved product. 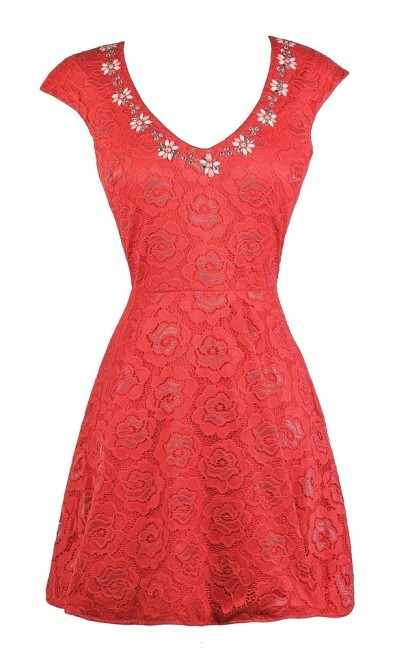 You have removed Stone Flowers Lace A-Line Dress in Coral as a loved product.